How about a Christmas card? I know Christmas is not for another 3 and a half months, but it’s never too early to start your Christmas cards! 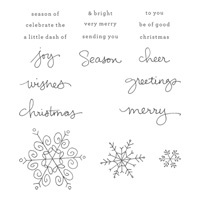 If you’re like me, you have a long list of people to send cards to, so better start early! 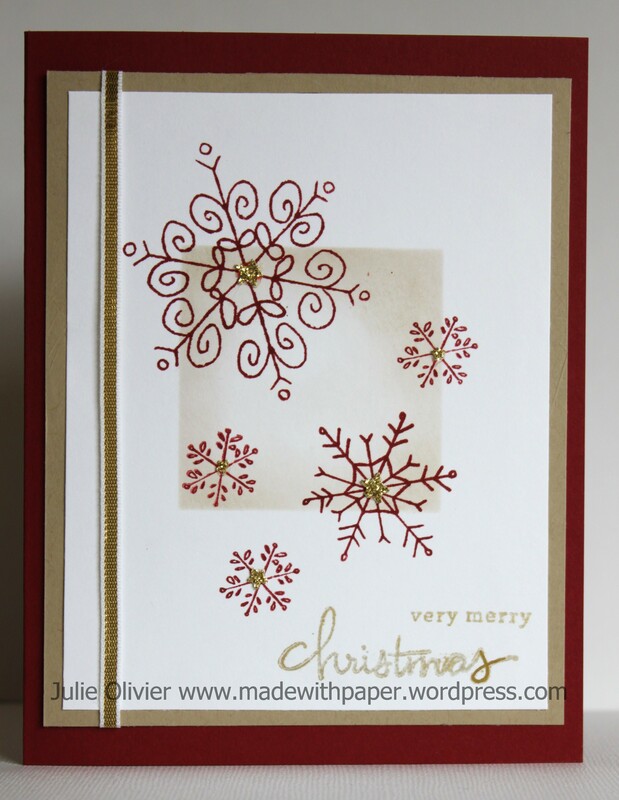 For today’s card, I used the Photopolymer set called “Endless Wishes“. If you think you saw it before, you’re right! It was offered for a limited time last year but sold out within a week! They brought this set back in the new Holiday mini-catalogue, so you get a second chance to order it!